Hastings Beer and Music Festival formerly Hastings Beer Festival was started in 1981 as a small charity fundraising event. 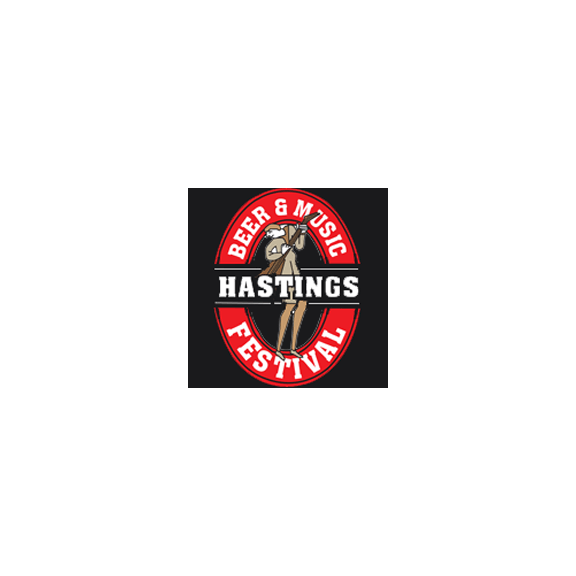 In 1998 it became Hastings Beer & Music Festival and became a major event for Hastings and the surrounding areas. The festival focuses around voluntary work and is committed to donating 100% of all money raised to local causes, such as Hope Kitchen who provide soup and sandwiches to vulnerable people within Hastings, and Hastings Lifeguards who provide voluntary lifeguarding for events such as Sea Swim’s in Hastings. Held in Alexandra Park, 100+ Beers, three days, one enormous tent and over £500,000 raised for local good causes so far. The 2015 dates are Friday 3rd and Saturday 4th July. Friday 3rd July: Snake Byte, Loose Moose, Dead Rabbits & The Cavaliers! Saturday 4th July: The Freedom Riders, The Do Theys & Sam Caliver! There will be more than 80 different types of Ales, Bitters, Milds, and Stouts. Cider lovers will have the choice of Biddenden Cider, Kingston Press & Thatcher Pear. Alternatively, you can buy red and white wine and bubbly by the glass or treat yourself to a Pimms. Soft drinks will also be available and all drinks will be from Europe’s Longest Bar! The Hastings Beer & Music Festival’s main aim is give an amazing value night out so most drinks are priced at £3.75. There are also local food vendors catering for all tastes for you to fill up on throughout the night. Tickets are £12 on the gate or £10 if booked online beforehand. Gates open at 6pm and the venue is open til 11:30pm with the live music until 11pm! Thursday 2nd July hosts the Battle of Hastings Proms where there will be an orchestral extravaganza, tickets available for £18 if booked in advance or £20 on the gate. Children under 16 years old will be free when accompanied by a fee paying adult. On Saturday 4th they also have a Family Fun Session between 12pm and 5pm. All the family are invited and prices are £2 for adults, £1 for children or a family ticket (2 Adults and 3 Children) for £5, these are only available on the gate.